Not a major move, just down the road a few miles. Other than the elementary school we will be in the same schools. 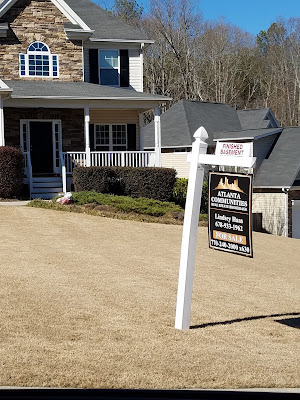 Bryan and I have been talking about moving for 2 years so when one of the neighbors in our cul-de-sac sold their house in December we decided it was time for us to make our move as well, especially since we could use their comps. Our house went "live" around 9:00 pm on Saturday February 18th and by the next day around Noon we had our first offer. Yea...so an offer within 14 hours! We stalled on answering because we ended up having 10 showings scheduled on Monday, which resulted in another offer. After going back and forth a few times with the first offer we came to an agreement and were under contract. 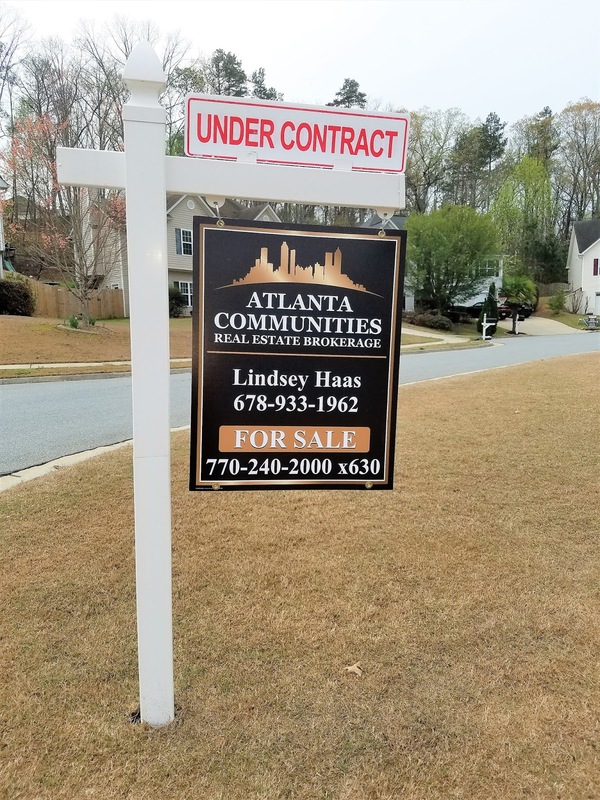 Our realtor Lindsey Hass (and husband Jeremy) has been absolutely amazing so if anyone local needs a realtor I HIGHLY recommend her. Here is the link to our listing if you would like to see the incredible photos taken of the house. I mean...really...incredible. I'm convinced these photos are what brought so much traffic through the house. Selling the house was a breeze. I don't think it could have gone any smoother or faster. Finding a house proved to be much harder and was slightly stressful for my already naturally stressed self. There has been very little in our price range in the area we were wanting and there is still nothing really popping up. The Saturday our house was listed we spent the day looking at 9 houses or so. We narrowed it down to 3 we were interested in. We made an offer on the house we dubbed the "Ten House"...as in 10 out of 10. Well, someone beat us to it and the house was already in the process of going under contract. The other 2 houses were okay, but both needed a ton of work so knowing our schedule at this point in our life we marked them off the list as well. We just don't have time to do a ton of work on a house. A few days later a house that was on the market and then off, came back on the market. Based on the photos of the house I had no interest in seeing it what-so-ever, but Bryan wanted to see it so our realtors had us in there first thing the next day. (See how important good photos are?!) Surprisingly I ended up loving the house aside from the ugly kitchen. The house had everything we were wanting and I actually liked it more than the "Ten House". So we made an offer right then and there. We were the first offer to come in, but someone came in that afternoon and offered more money. Instead of the seller coming back to us as asking if we wanted to counter, which we would have, they proceeded with the 2nd offer that came in. I will not even lie when I say I had an emotional breakdown after this happened. I mean, I had already in my head placed our furniture in the house and everything. It was definitely a dagger to the heart. 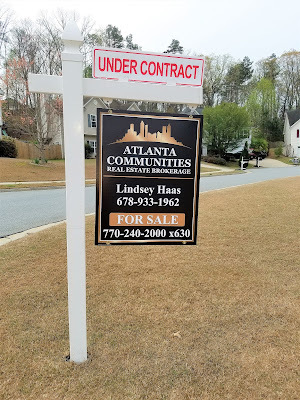 Plus our house was under contract so I was feeling like we were not going to find a house in time. I also didn't want to settle for something we didn't really like. Lets rewind back to the "Ten House". Bryan noticed when we were leaving that house that a crew was working on a house across the street. He also noticed there were no blinds on any of the windows so as far as he could tell the house was empty on the inside. After we lost the 2nd house he drove by this house after work one day and noticed again that there were crews working inside the house so he called our realtors to investigate. Turns out the house was indeed being prepped for market (a flip house). Our realtors asked the investors if we could come in to look around and they agreed. They also agreed to take an offer on the house before having it listed. Turns out 3rd times a charm because our offer was accepted and we go ourselves a house!! On top of all that, we like this house better than the first two houses we made offers on so my emotional breakdown was for nothing. Pretty positive it was good teaching lesson for me from the good Lord above! 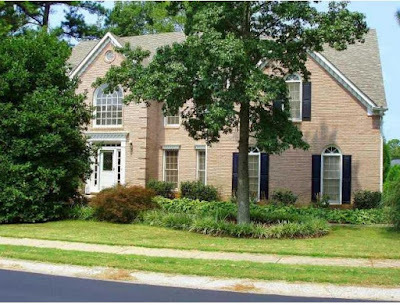 I don't have a link to the house since it was never officially listed, but here is an older picture of it. We close on both houses April 28th. We are well under way with packing up the house. I've filled up my Tahoe with 2 loads so far of stuff we are getting rid of. I have at least another load or two in the basement. If anyone isn't doing anything on Thursday April 27th, Friday April 28th and Saturday April 30th I can put you to work moving furniture OR you can take my kids to their soccer games. Ha. We are so excited about the new house and can't wait to move in.